Can you tell the difference between "I want a cup of tea" and "I would like a cup of tea"? This English grammar course will teach you how to ask for things in a polite and grammatically correct way. The course is suitable for anyone who wants to start learning English at a Beginner (A1) level, and includes interactive visual learning content, audio, and exercises that you can complete anywhere, anytime. Keep improving your English skills, today! This course will first teach you the polite way of asking for things, which is really important especially if you are a tourist. 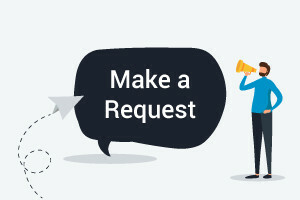 You will learn how and when to use "Want", "Would like", and "Please" when making a request. You will then study the proper usage of demonstrative pronouns such as "This", "That", "These" and "Those". The course will then bring you through important scenarios such as shopping and travelling and teach you the different phrases and sentences that fit these situations. After you have mastered how to refer to things using the plural and singular form of demonstrative pronouns, you will cover Wh-questions and study interrogative pronouns such as "What", "Where", "Who", "When", and "How". You will also learn how to answer "To be" questions such as "Are you hungry?" and "Is this your bag?" Each of these lessons will be presented via a question and answer audio file which you can listen to over and over again. We all know that to effectively learn a language, regular practice is the key. This beginner English course is designed for those who are just starting out on their English journey. WIth the audio English grammar exercises included in this course, your English will improve in no time. So try out the course and learn the polite ways of asking and answering questions now! Differentiate between want and would like. Recognise these, those, this etc. Recognise what, where, when, why, and where. Talk about shops in a city centre.